We have the London Overground AND geraniums outside Forest Hill Station (thanks to Shannons Garden Centre) but problems still remain, as Andrew Reid of our Transport Committee explains. TRAINS Following assurances that peak hour London Bridge trains would be eight coaches long from the introduction of the new timetable, we were surprised to see four and six coach trains running. We were told these were planned and not the result of rolling stock failures. This makes a mockery of the stated intent to extend platforms to run ten coach trains by the end of next year. The petition protesting against cuts in our rail services both to Charing Cross and during the evening peak from London Bridge gathered well over five-thousand signatures and was presented to the Minister then responsible for rail services, Chris Mole, on 23rd March. We received the standard response that with an additional eight Overground trains an hour, we do not need this capacity to London Bridge. We disagree and will bring this to the attention of the new government. ROADS The results of the Perry Vale Traffic Study are now on our website. It came up with little hard information on problems, but recommended further studies to analyse the accidents which had occurred, measure traffic and count pedestrians crossing in various locations. 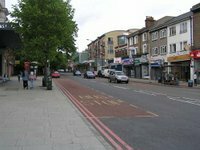 Many local residents have concerns about traffic in Devonshire Road and we have discussed possible solutions with TfL and Lewisham Council. 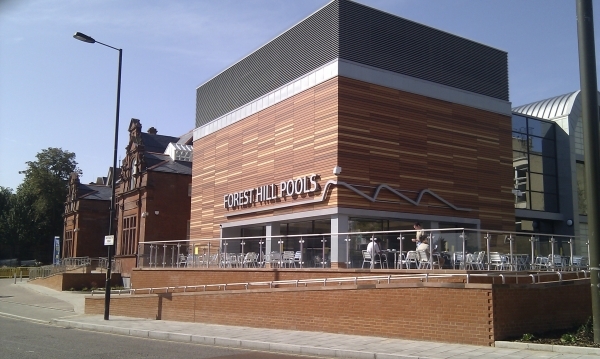 PARKING The plans for Forest Hill Pools provide only a single disabled parking bay. Any further parking will have to be in local roads. The lack of on-site parking was an inevitable consequence of the cramped site available for the development. We sympathise with local residents. Clearly this is a fine balance and the situation will need to be reviewed once the Pools open. ...and the London Overground does have some problems which we are hoping to have rectified. The air conditioning seems unable to cope with high external temperatures. Whilst TfL were aware of the problem, they were surprised that it had failed on three of the four trains we sampled on the first day. They are working on a fix – one test train has been running already. We have told TfL that we’d like the Overground to run later in the evening – at the moment it stops running from Canada Water earlier than Southern trains from London Bridge. We are confident that later trains will be timetabled in future if there is a demand. There are now only four Southern trains per hour from London Bridge and we do know that this has caused problems for many of you. Others have said that whilst the reduced service is an inconvenience, the opening of the London Overground has meant the trains are less crowded and the journey more comfortable as a result. We shall have to see how people’s travel patterns adapt to all the changes over time.